A successful social media marketing strategy requires organization. We’re all busy, and sometimes things like social media publishing falls through the cracks. That’s why creating a social media content calendar can be super helpful for keeping you organized and on top of your social media efforts. In this blog, we’ll discuss 4 benefits of using a content calendar for your social posts. Most of us are so busy and stressed already -- why make it worse by having to worry about what to post every single day? By planning posts for the entire week, or the entire month, you’re able to reduce your everyday stress of figuring out what to post on that specific day, which is very time consuming and a productivity killer. Instead of pushing the same message out to all your social networks every day when you’re super busy, social media content calendars help you plan out your posts and tailor them to each platform. For instance, you wouldn't necessarily post something on Facebook that you would also post on LinkedIn, since LinkedIn is tailored mostly to business professionals. Taking the time to craft custom messages for each network allows you to create thoughtful posts that will likely get more engagement. Things like National Dog Day may be important to your followers! 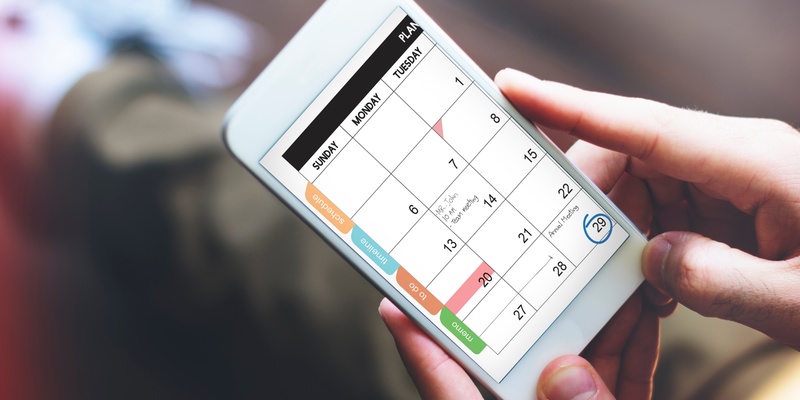 By figuring out which observance days and holidays are coming up next month, you can plan out your posts ahead of time so you don’t miss a special day that could help boost your engagement and traffic! According to Content Marketing Institute, 60% of social media marketers with a documented strategy rated themselves as highly effective, versus 32% of marketers with only a verbal strategy. Convinced that a social media content calendar will be beneficial to you and keep you on track? Great! Start by downloading our FREE Content Calendar and get organized!